Congratulations to the Youth Violence Prevention Task Force Co-Chair Venessa Collins-Smith for her Leader of the Year award! Venessa was honored at the ISAAC Banquet on May 6. We thank Venessa for her leadership and creativity in developing the Future Leaders for Peace curriculum. Our Future Leaders for Peace (FLFP) also presented at the Banquet, asking other young people and their parents to participate. Our next task force meeting will be Monday, June 12 at 6 p.m. at St. Luke’s Episcopal Church, 247 Lovell St. in downtown Kalamazoo, 49007. You can enter the parking lot either from Lovell, between Rose and Park, or from Park St, between Cedar and Lovell. 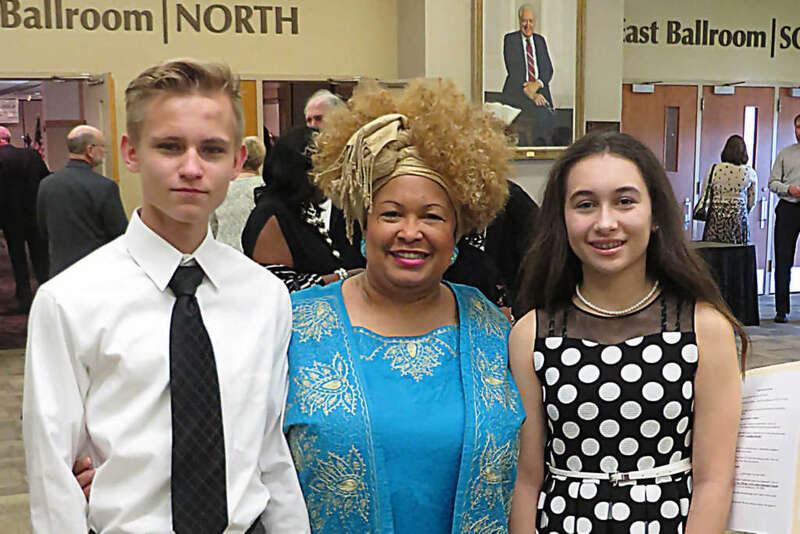 Future Leaders for Peace will meet on Saturday, June 17 at 1 p.m. at First Congregational Church, 345 West Michigan Ave. at the corner of Park St. in downtown Kalamazoo, 49007. Young people from 8th grade through 12th grade are welcome to join us and help make our community a better place for everyone!